How to use NLP for self motivation, to control your feelings, and deal with the negative effects of any experience. In this section of the site you'll discover NLP motivation tools that can put you in the perfect frame of mind to use all your skills and experience to their full potential? Your job involves interaction with people. 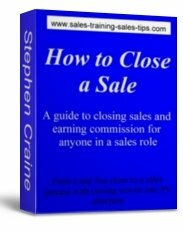 As a sales professional you will face challenging situations. 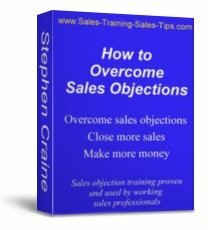 Overcome sales objections and get let down by others. ...Sounds like a typical day in a sales job.. But even the best sales people and managers can start to feel the negative impacts of these experiences as they stack up. That's when self motivation techniques can benefit you. Learn how to use NLP sales motivation techniques and you can put yourself in a positive state ready for the next sales appointment. You've come out of a sales call where you completely messed up. Faced objections that wore you down. Got let down by your company or supplier. Or the prospect hated you. When you know how to use self motivation you are in control of your state. ...The self motivation technique is lower down the page but if you just can't wait take a look now..
NLP (Neuro Linguistic Programming) started as an alternative form of psychotherapy in the mid-seventies. The two co-founders, Richard Bandler and John Grinder, looked at human behaviour, and attempted to find rules and programmes relating to actions and linguistic communication. All sales people can use these techniques for self motivation. Now NLP has been transformed into a valuable tool for all areas of personal development. It provides a set of models that will help you to discover what it is you want and how to achieve it. As more people learned how to use NLP motivation techniques they were refined and adapted for use in specific disciplines. Now it is part of the accepted training for, therapy and performance coaching. Sports, sales and sales management. And all forms of human interaction and communication. There are even specialist in NLP dating, seducing, and flirting techniques. ...But I wouldn’t know anything about how to use those NLP techniques.. If you're now seeing something new and exciting, and getting that feeling that NLP could be what you have been looking for, read on because there's a great NLP self motivation technique for you..
You can see why sales trainers and managers soon looked at how to use NLP to motivate sales people. Depending upon the product, sales can be as much as 80% attitude and only 20% sales skill. The best sales people are those that have the mental attitude, to use their sales skills to full effect. They know the importance of self motivation. Train yourself, or your sales team, how to use NLP sales techniques and they have the perfect tools for their own internal motivation and attitude, and for external communication and presentation. Years ago, building someone's confidence to help them succeed in sales or managment was a long process. Now we have the tools to build confidence, thanks to the work of pioneers in the fields of human behaviour and communication. NLP motivation techniques can give you the tools others don’t have. ...Or whatever the phrase you use in your part of the world to describe that special feeling that generates success.. So here is the first of many NLP sales motivation techniques that will be added to the website. As sales people we are always being told by trainers and managers, that we have to get over bad experiences. We have to deal with rejections, setbacks, mistakes, complaints, being let down, and all those negatives that make up our sales week. ...That’s easy for them to say, but how often does anyone give us the tools to do that?.. Now I offer you the technique I give my sales teams, and my private clients, on how to use NLP to get rid of the negative effects of bad experiences. Get somewhere you won’t be disturbed. ...I usually do this straight after a difficult sales call or meeting. There is no way I'm going to let one past experience, or someone else's viewpoint hold me back for the rest of teh day..
Take a deep breath, close your eyes, and start to see the end of the experience. Hold that final frame of the end of the meeting or sales call. Do it as if you had run a video of the situation and stopped it right at the final frame. ...Yes, I know, if this sort of exercise is new to you it will feel uncomfortable, but so did walking once and you didn't give up on that did you..
As you look at the picture start to drain any colour from it. We all see internal pictures differently. Their will be something about the picture that makes it stand out from a memory of a good experience. Often this is in proportion to the bad feelings we get from the pictures. This is how to use NLP for making changes to your feelings about the past. Whatever stands out, such as colour or definition, tone it right down. Even if it’s already black and white, drain the colour so it becomes grey. Rewind your internal video of the experience at a faster than normal speed and watch the whole thing in reverse. There is something funny about watching people going backwards on a film. See them eat their own words, hear the sounds in reverse, and watch the funny walks as they go backwards at speed. You just can’t take the people in the internal moving pictures seriously anymore, including you. When you’ve reached the start of the internal film, start playing it forwards. Still at a faster than normal speed. Now you’re the director, and you can make it as funny and ridiculous as you like. Dress up the people in the film, yes including you. ...Undress them if that makes you laugh..
Add some of your own color. Red noses, clown shoes, wobbly legs, have some fun, play it forward, add some circus music, and try not to laugh as much as you can. If you have learned how to use NLP to deal with the effect of past experiences, you should now feel completely different about the past experience that you used to see as negative. You will have re-framed your viewpoint and scratched the past false feelings from your memory banks. In sales you could be facing the same experiences many times each week. Rejection, problems, your boss, difficult customers, let down by other people. Now you can take away the negative impact of those situations. You understand the importance of motivation, and now you have a tool to delete the future effects of any situation. The final step of how to use NLP to deal with the false negatives of past experience. Start your internal pictures. See yourself going into the a similar situation in the future. Perhaps with the same buyer or attending the same regular meeting. Run the film at normal speed. Use a slower speed if you want to highlight the positives. ...Like they do in the movies when the action hero moves in slow motion..
You are fully in control of the pictures and all aspects of directing viewpoint, lighting, sound, and script. Make this the best you have ever done. With everything that is positive in your film you get a massive burst of positive feeling. A wave of confidence, a glow of success. Take your time, make the scenes exactly as you want them to happen. Now go to your next sales call with those same feelings of motivation and confidence working for you. The more you use this self motivation technique the more effective, and quick acting it becomes. It will feel uncomfortable at first but stick at it,the results and rewards are worth it. You might find your new found motivation is contagious. A good test to see how you are changing and your self motivation is growing, is to watch the reaction of others. See if your colleagues, and your friends and family, notice a difference in how you deal with setbacks. It will start with comments or questions about what's cheered you up today. Then they want to know more. You'll find that you have more energy as negatives don't wear you down. When the techniques are working things just click and and you feel motivated and confident. Ask a question that will help you with self motivation, motivating your sales team, and achieving your goals and objectives. Make a comment about the motivation information in this section of the site. Write a page and share your experiences, knowledge, and motivation stips, and get it published on this site. Include brief information about you and your company, and add a link to your website or contact details. This will be a free advert seen by the many visitors to this site. To ask a question or make a comment click the link to go to the motivation information page comments box and simply start typing, it's that easy. To discover more motivation training and techniques go the main page of the section on this site and find motivation information and click around the page. To start a new search for sales training and career information and help, leave How to use NLP and go to the Sales Training home page and click around the site.